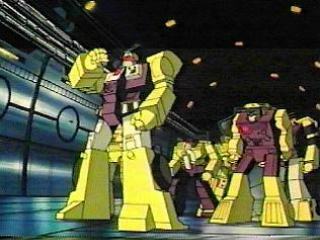 The Constructicons merging to form Devastator. 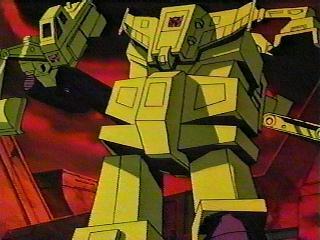 Devastator then said "Prepare for extermination!," his only line of the movie. 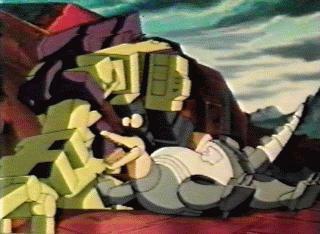 These are pics of Devastator making scrap metal of Autobot City's defenses. 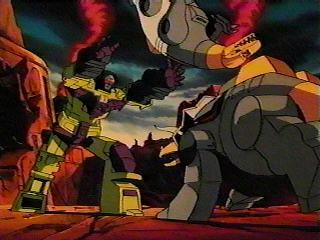 Devastator making Sludge's eyes pop out then throwing him. 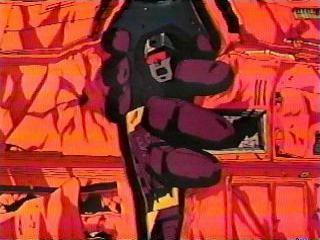 This scene was put here quite possibly to remind viewers that it was just animation. 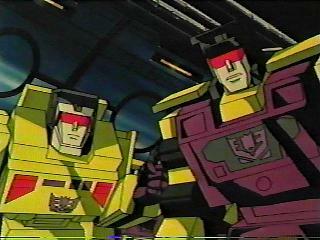 Here's a really nice pic. 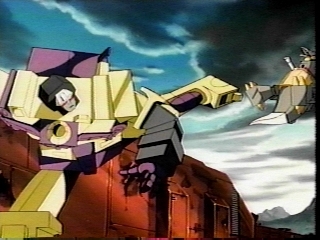 Devastator uses the infamous "movie kick" to take out Grimlock. In some movies actors use this kick to make it look like they know martial arts even if they don't. 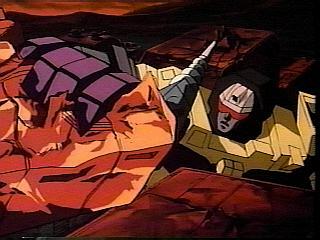 Scrapper saying that the Constructicons should rule the Decepticons. 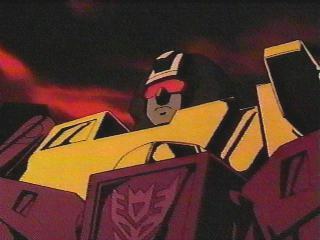 Soundwave says they are inferior causing Bonecrusher and Hook to voice their anger toward him. 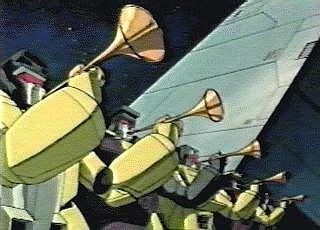 These are most of the Constructicons blowing horns at Starscream's coronation. 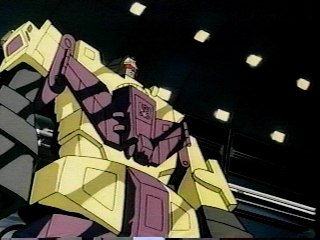 How degrading.